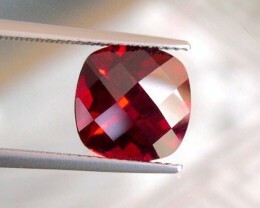 This is a very nice VERNEUIL RUBY...The best quality: the rough comes from SWITZERLAND and is considered as the best...PIGEON BLOOD RED color, flawless, elegant cushion checkboard cut...14x12mm...Hardness 9..Life garanty. 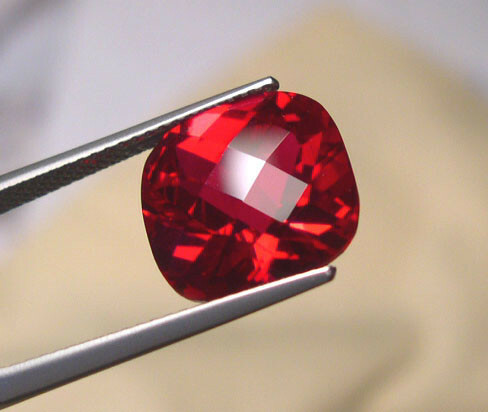 The ability to create gemstones in the laboratory began in 1902 when Auguste Verneuil, a French chemist, developed a method known as flame fusion to create synthetic ruby. This was no mere laboratory experiment. Verneuil soon expanded his lab into a full scale production facility and was turning out 1,000 kg of synthetic corundom by 1907. 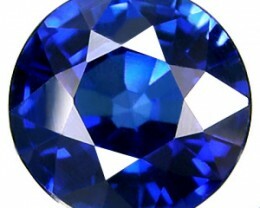 Verneuil developed flame fusion primarily for the synthesis of ruby, but the same method can be used for the creation of other gem materials, including sapphire and star sapphire, spinel, rutile, and strontium titanate. 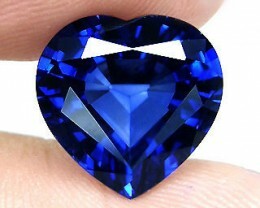 The basic concept of the flame fusion method is to take the raw gem material, melt it, and then allow it to recrystallize. The concept is simple, but this method depended on some key bits of technology. First, it was necessary to have extremely pure starting material. 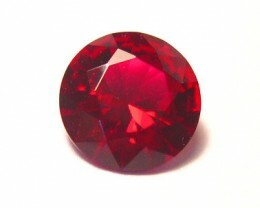 In the case of ruby or sapphire, this meant aluminum oxide that was free of impurities like sodium. 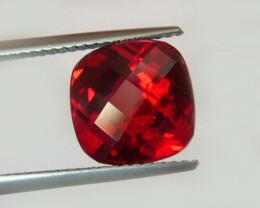 The earliest attempts to recrystallize ruby were actually accomplished by melting natural ruby crystals, due to the lack of fine pure aluminum oxide. Next, it was necessary to have a way to heat the powdered aluminum oxide to a temperature of at least 2,000 degree Celsius. The recently developed oxyhydrogen torch provided Verneuil with the technology for his furnace. 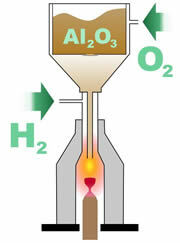 In the Verneuil process, the powdered aluminum oxide is released down a tube where it passes through a flame that melts the material into small droplets. These droplets fall onto an earthen support rod placed at the bottom of the furnace. 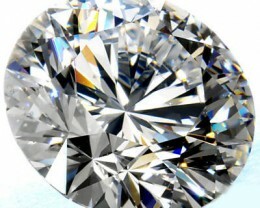 The droplets form a single crystal called a boule. The boule has a characteristic shape with a rounded end, a long cylindrical body, and a tapering end. 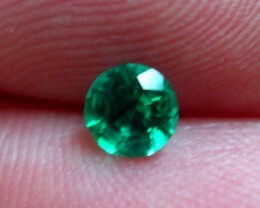 It is usually about 13 to 25 millimeters in diameter, 50 to 100 millimeters long, and weighs 75 to 250 carats. Crystals produced by the Verneuil flame fusion process are chemically and physically equivalent to naturally occurring crystals, and strong magnification is usually required to distinguish between the two. One of the signature characteristics of a Verneuil crystal is curved growth lines formed as the cylindrical boule grows upwards in an environment with a high thermal gradient. The equivalent growth lines in natural crystals are parallel.